Soldiers from the Mercian Regiment have been given the chance to meet the team behind a new play in Birmingham. 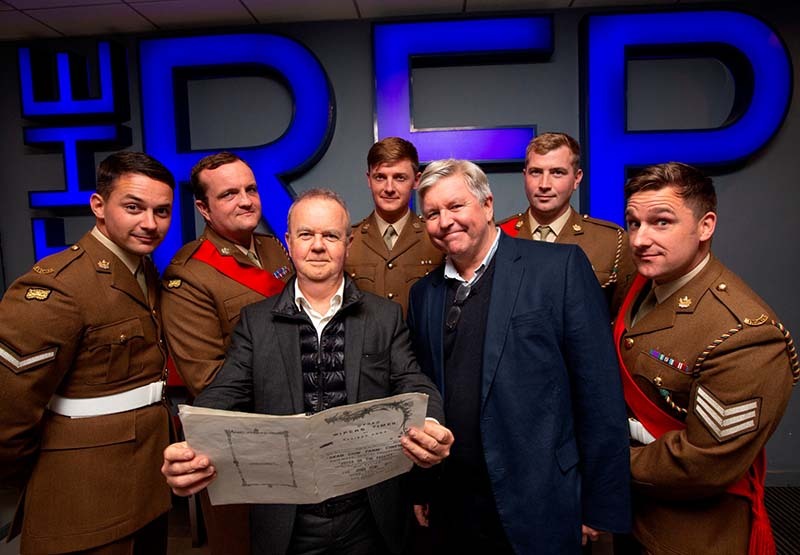 Have I Got News For You’s Ian Hislop and cartoonist Nick Newman penned The Wiper Times, which tells the tale of the birth of a satirical newspaper in the trenches. As the publication was started by members of the Sherwood Foresters, which later became the Mercian Regiment, the creators invited current military personnel to the opening night at the Birmingham Rep.
Ian said: “What was so extraordinary about discovering The Wipers Times was the fact that it was original source material, written on the frontline by troops on active service. In early 1916, many Midlands soldiers were stationed at Ypres in Belgium. Mainly working class miners, the Foresters, led by Captain Fred Roberts, set to work creating a satirical newspaper to boost morale during some of the darkest days of the war. The Wipers Times – inspired by the name that Tommies called Ypres – used humour, light-hearted poems and spoof adverts to provide brief solace to the men fighting on the battlegrounds of Belgium. One hundred copies of the first edition were delivered to the trenches on 12th February 1916 but soon the demand grew and within a few weeks deliveries had doubled. Over a two-year period, the Sherwood Foresters produced 23 issues of The Wipers Times. Nick added: “The phrase everyone uses, which I love, is that the magazine is determinedly flippant. The Mercian soldiers who came along to see The Wipers Times are currently serving at the regimental headquarters in Lichfield. Sergeant Major Scott Roxborough said: “The sense of humour of the Sherwood Foresters in the trenches comes out very well in this play.